(1) Select Image -> Image Size. Enter the required dimensions into the appropriate boxes. Resizing generally means enlarging/reducing the image without actually changing the number of pixels within the image. In order to maintain the 3:2 aspect ratio of a negative/slide leave the Constrain Proportions box checked. If you wish to scale the image so that it contains more/fewer pixels, referred to as resampling, then leave the Resample Image box checked. 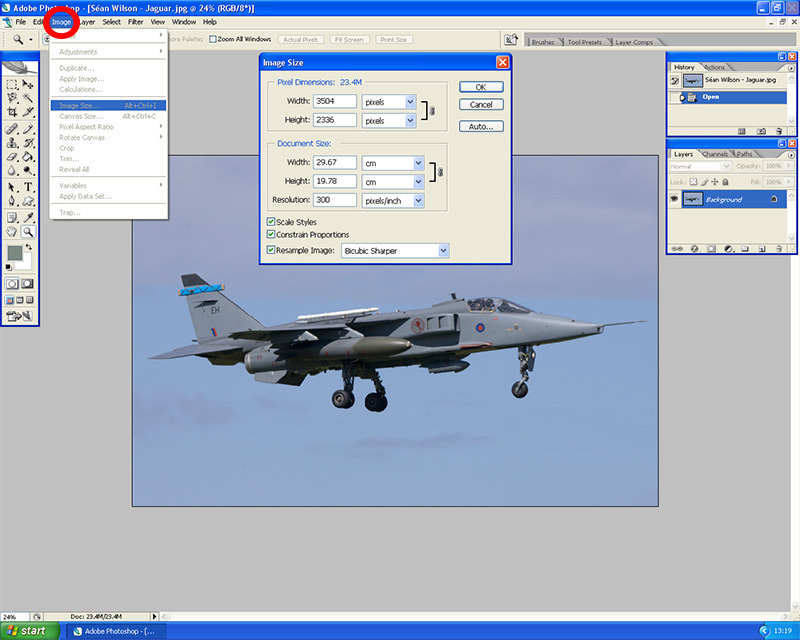 This step is required when reducing an image in size for posting on the Web for example. If you are reducing an image in size (downsampling) then it is advisable to use Bicubic Sharper. 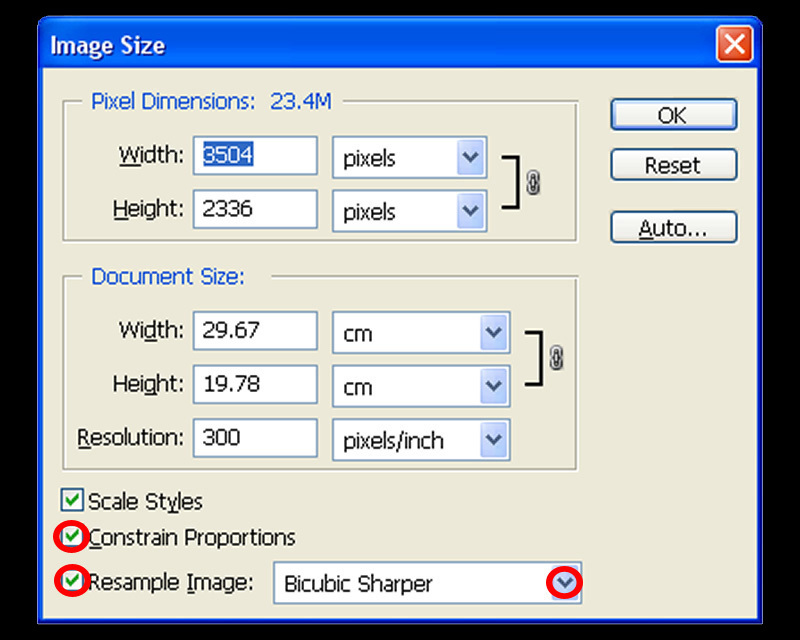 If you are making an image larger (interpolating) then use Bicubic or Bicubic Smoother. (2) Alternatively, enter the required dimensions into the Crop tool boxes. Cropping will now produce an image of the desired size. Again remember to enter width:height dimensions with a ratio of 3:2 if you wish to maintain the natural dimensions of a negative/slide (36mm x 24mm). In order to crop the image so that the dimensions and resolution match those of the original image simply click on the Front Image tab. If you intend to resample the image then refer to the diagram above. 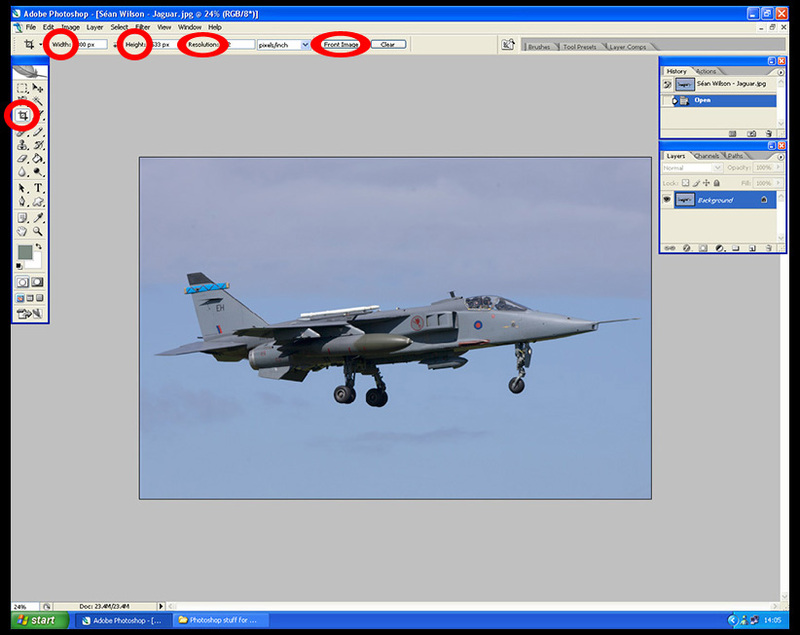 The Image Interpolation setting can be set by selecting Edit -> Preferences -> General.